The success of LKM’s innovative pedagogy has resulted in media attention and praise. AJ+, a subsidiary of Al Jazeera, published this video celebrating LKM’s contributions to Kreyol literacy via the Mother Tongue Books program. In 2016, LKM was included in a small group of public and private schools that received an Award of Excellence from Le Ministère de l’Èducation Nationale et de la Formation Professionnelle (MENFP). This award promotes innovative strategies from high-quality educational programs in Haiti in an effort to improve education throughout the country. It is no secret, then, that LKM’s curricular philosophy results in a rich, effective educational environment. I was introduced to LKM by my colleague Elizabeth Chin, who has collaborated with the school for the last six years. In 2015, Elizabeth and a research assistant traveled to Matènwa to teach photography classes at LKM. As described in this essay, the classes served a dual purpose: introducing participants “to such concepts as framing, lighting, composition, micro/macro and point of view” (Chin 2015) done while simultaneously providing an environment for general technology education (where photography is simply the context). These classes were met with so much excitement that Elizabeth invited me to collaborate with her on a similar series of hands-on technology workshops for deployment the following summer. In the summer of 2016, I traveled to Haiti with a suitcase full of electronics supplies to meet Elizabeth at LKM. Over the course of two weeks, we lead training sessions for LKM’s faculty as well as workshops for children. In both cases, our activities at the school functioned as a means to explore what kind of hands-on technology curriculum is possible at LKM while simultaneously navigating the complexities of doing so sustainably in rural Haiti. One of the primary challenges to technology education at LKM is the remote location of the school. Traveling from mainland Haiti to La Gonâve, most commonly accessed by boat, is costly and time-consuming (ranging anywhere from forty-five minutes to several hours). After arriving at Ansagalèt, a city on the shore of the island, one hires a motorcycle taxi to climb the hour-long series of rocky roads to Matènwa. This journey is challenging with only a bag or two and would become exponentially more so at the scale and frequency necessary to supply LKM with equipment throughout the school year. In other words, technology is generally scarce in Matènwa, and new infusions thereof are infrequent. The scarcity of technology in Matènwa, specifically, as well as in Haiti, generally, leads to a transient relationship with technological devices. 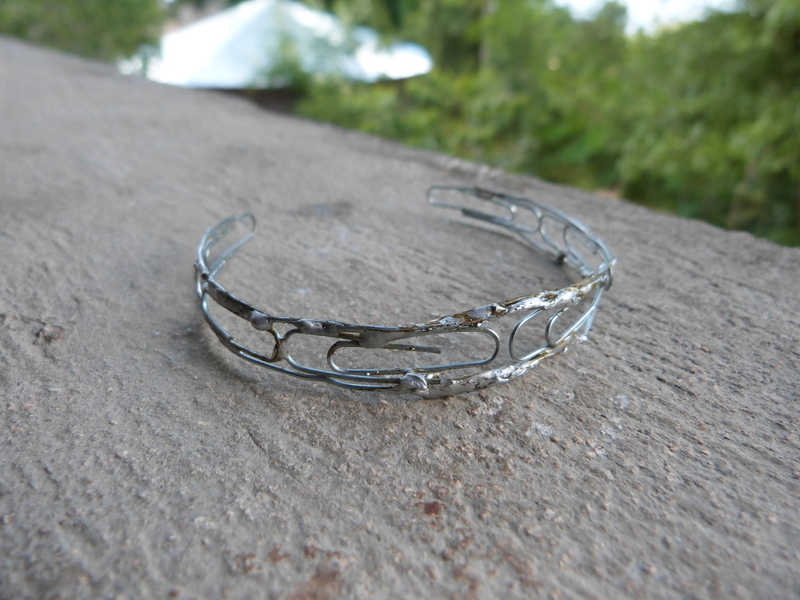 Lacking a widespread manufacturing industry, the technology that is common in Haiti often arrives from another country. Components and tools necessary to repair devices are similarly scarce, leading to a phenomenon described to me by a number of community members at LKM: a flashlight (or other device) was widely used until it broke, at which point it was permanently discarded due to the perceived impossibility of repair. Irregular access to electricity is another substantial hurdle to technology education at the school. LKM is powered by a small grid of solar panels, providing limited electricity to support educational activities and administrative operations while school is in session. When school is not in session, the electricity is left off. For community members of LKM, the school is one of the only local sources of electricity and one’s only opportunity to, for example, recharge a cell phone. 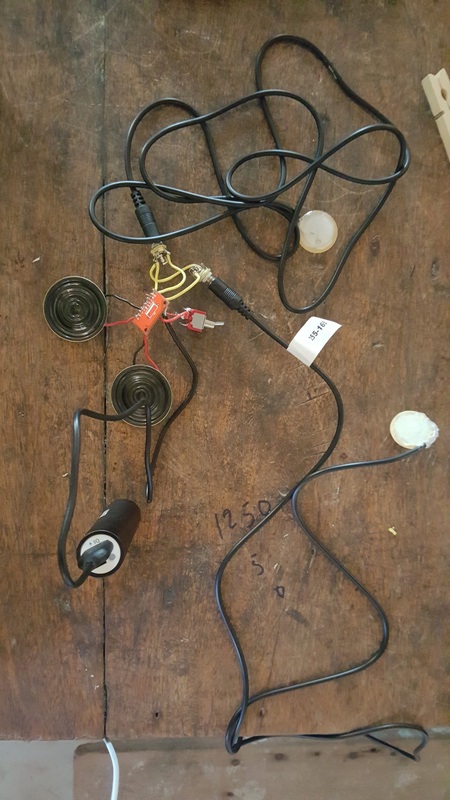 This limited power supply, designed to meet the electrical needs of the school, is strained by any additional loads from personal usage by community members. LKM staff police the electricity usage in response to periodic “brown-outs,” where the number of devices simultaneously drawing current from the solar grid causes the school to momentarily lose power. When the power is “tripped,” community members’ cell phones are removed from the grid in an effort to preserve power for the essential operational needs of the school. As one can imagine, the additional amount of electricity needed to power a full-time technology lab, for example, would be difficult to provide with the already-strained power available. Due to the above factors, the resources necessary to support a general technology education are difficult for the school to provide. In other words, the type of technology education possible at LKM to date has been dictated by equipment donations from outside organizations: one company donated a recording studio, another company donated a number of MacBook Pros. While the recording studio was created to support a small demand, the computers allow LKM to teach a range of subjects, including budgeting with Microsoft Excel as well as typing and literacy by contributing to a Kreyol Wikipedia. Teaching a software application is only one part of a technology education, though. While classes on Excel, for example, help community members perform select activities supported by that program, those classes provide few resources for doing anything else. For example, the following questions exceed the scope of such a class: What is electricity? How do computers work? How can I use technology to express myself? Or how do I think through technology? Software applications come and go, but the basics of electricity, and general computational concepts, persist. Elizabeth and I planned four sequential workshops to deploy at LKM in two parallel tracks: one for the teachers in the morning and another for younger students attending the concurrent summer camp in the afternoon. Each workshop took a similar approach: participants were lead through an open-ended art project, the completion of which required rapid acquisition and application of technology concepts through hands-on experimentation (often referred to as “lab-time”). Each of the workshops in our curriculum can be seen as an example of what Elizabeth describes as “participant making”: “An approach to fieldwork, ethnography, and design that takes the ethnographic commitment to participant observation and all that this implies and melds it with a designerly investment in ‘making’—that is, the iterative process of manifesting ideas as things” (Chin 2017, 543). What follows is a brief description of each workshop and examples of the media created during lab-time. 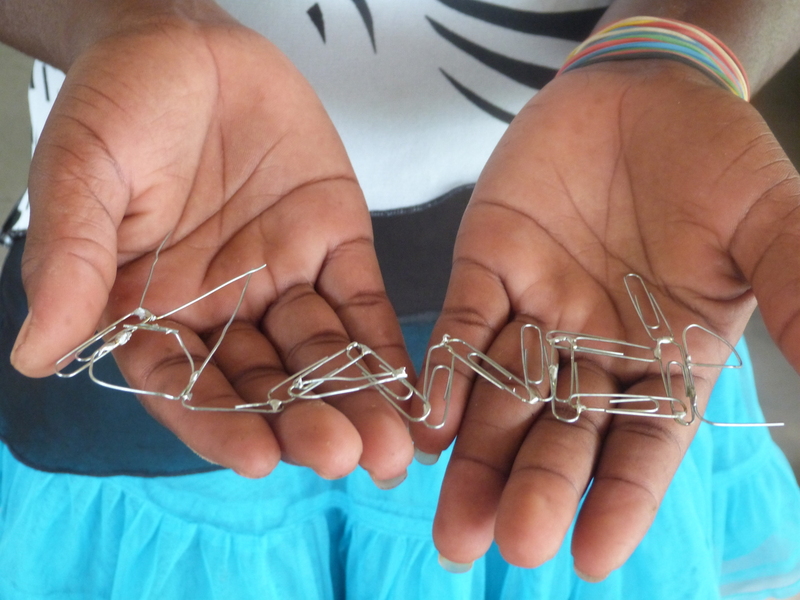 Following a quick soldering demonstration, participants were asked to build a sculpture using only paperclips, solder, and a soldering iron. 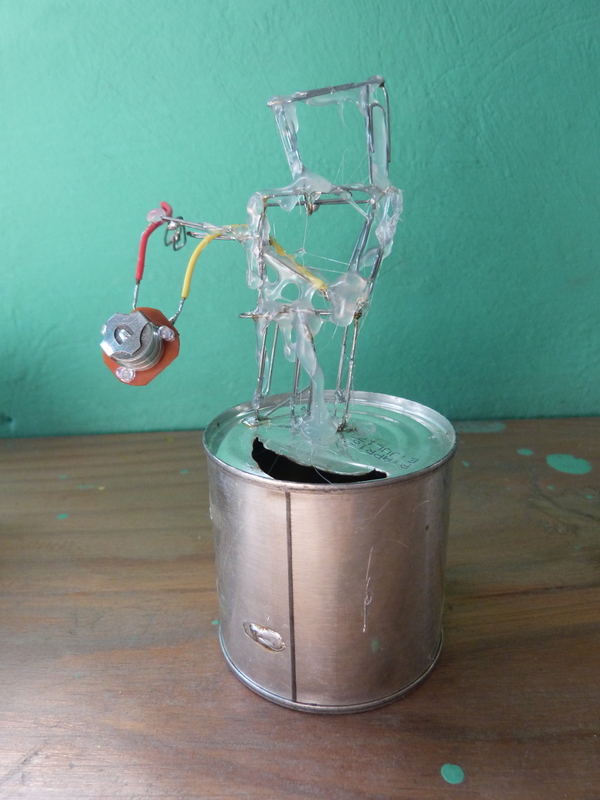 Working to complete one’s sculpture requires sustained practice soldering, resulting in the rapid acquisition of this new technique. 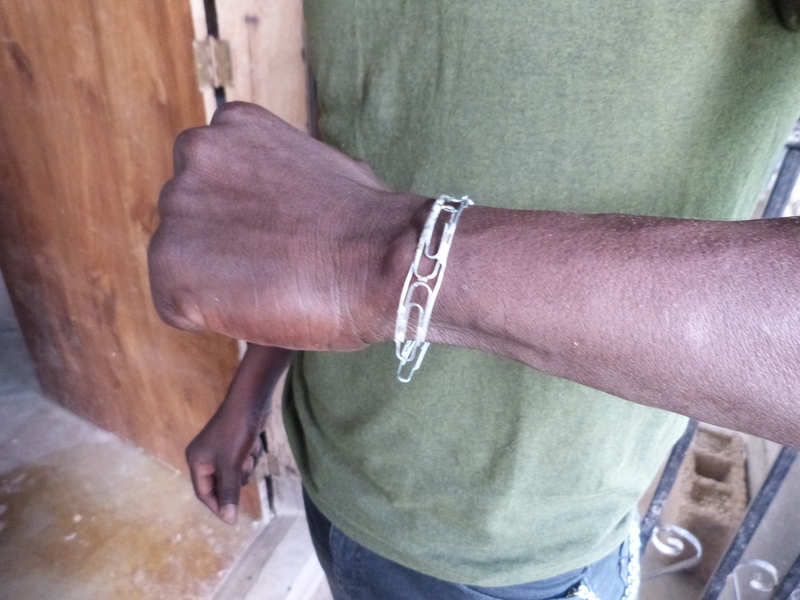 A large degree of creative interpretation was on display, as the word “sculpture” took on a variety of meanings from participant to participant: name tag, bracelet, or geometric design, to name only a few. 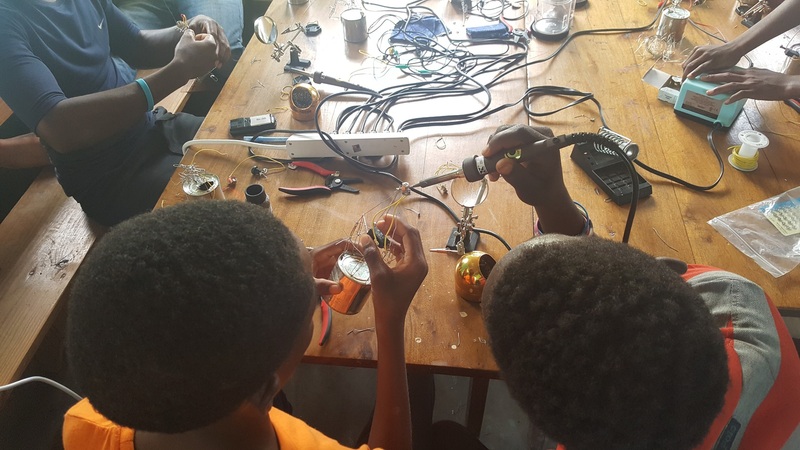 Hidden Sounds challenged participants to apply their newly acquired soldering skills to a more complex, multipart project: the construction of a contact (piezo) microphone and one-watt audio amplifier. 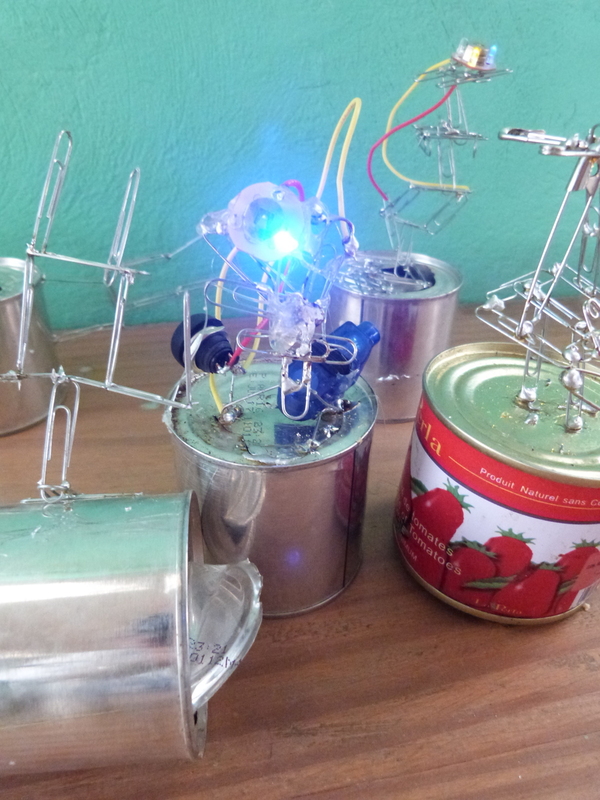 Upon completion of these devices, participants were encouraged to create unique, DIY percussion instruments by searching for “hidden sounds” among their surroundings. An example of a finished Hidden Sounds circuit. A chalk drawing used to describe connections on the amplifier module (labeled in Kreyol). One successful aspect of this workshop is the high likelihood that basic electronics issues are experienced on the way to functionality, where the goal of locating hidden sounds, or creating a new instrument via amplification, incentivizes working through various electrical problems. In other words, though the discussion of theory was minimized (by design as well as due to language limitations), participants invariably encountered issues resolved by confirming whether a circuit was complete, to name only one example. Both the teachers and students had the most success completing this project in groups, a strategy that appeared to make the large leap in complexity less intimidating. Oriental Trading Company describes itself as the United States’ “largest direct retailer of value-priced party supplies, arts and crafts, school supplies, toys and novelties,” and acted as primary supply source/inspiration for this next children’s workshop. More specifically, we planned to rewire/repurpose several different styles of soft plastic rings, balls, and other toys, all of which contained flashing RGB LED circuits controllable by a button press. Workshop participants were asked to remove the circuit from the plastic and identify the on/off portion on the bare circuit board via demonstration. In the second part of this workshop, students were shown a variety of different button styles (momentary, toggle, snap) and challenged to alter the behavior of their flashing light by adding one of these buttons to it. Once the workshop started, the flashing lights attracted wave after wave of children, quickly filling up the room in which we were teaching. Rather than turning students away, we worked to get those who had not been through the Paperclip Sculpture workshop familiar with soldering so they could fold into working on the flashing lights with the others. This resulted in multiple projects occupying similar spaces and eventually separate projects close enough in proximity became one. Participants preferred to assemble hybrid sculptures comprised of both flashing RGB LEDs and supported by paperclip structures. 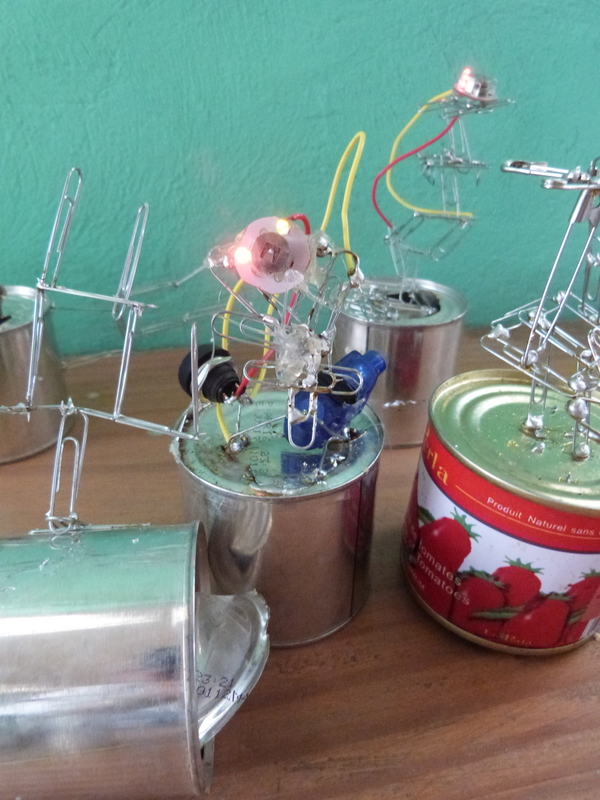 Spoons and aluminum cans found in various parts of the school’s property were incorporated after some time, transforming certain projects into flashing avant-garde hats while simply providing helpful structural support for others. We originally planned to do this workshop for one afternoon and move on, but the kids wanted to repeat it, to continue working on their flashing light sculptures, for three days in a row. 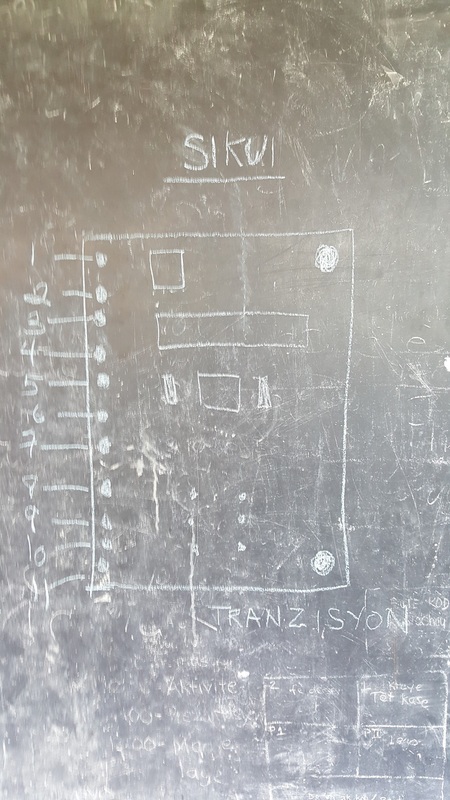 In this final workshop, the teachers and some of the older students were challenged to prototype a light-controlled, multiple-voice synthesizer with a CMOS microchip, light-dependent resistors, and an amplifier. Participants “tuned” their feedback loops to each other to create beautiful, bell-like tones or guttural, rhythmic loops. Exploring the way these synthesizers can respond to a variety of external stimuli, ranging from subtle ambient lighting changes to the harsh flashing of a cell phone, create a high energy, dynamic atmosphere. This workshop simultaneously results in sustained attention to the creative affordances of “bending,” or repurposing a design structure, of the CMOS chip (via the repeated resistor-capacitor structure used to make a loop) to an end not necessarily predicted by its manufacturer. The high degree of excitement that our workshops generated exceeded our expectations. One explanation for this pleasant surprise is the scarcity of technology in Matènwa, where the unusual presence of an electrical device inevitably leads to community attention. Nonetheless, technological scarcity at LKM is more properly understood as the constraint within which we collaborated with the school’s community around a possible technology curriculum. During lab-time, Elizabeth and I would build our own prototypes alongside participants and wait for individuals to indicate that they were stuck and would like some assistance. Our roles here oscillated between “teacher” and “collaborator.” The preference to work in groups emphasized an increasingly horizontal relationship that Elizabeth and I had with participants: group members became the primary source for assistance and clarification, and we were often simply “observers.” The inclination to collaborate reinforced an important social atmosphere during lab-time and is only one example of how LKM community members contributed important changes to future versions our curriculum. As observed by Collins, Durington, and Gill (2017, 2), “foregrounding the collaborative nature and ethos of anthropological work disrupts overdetermination.” Our preference to allow lab-time to take whatever form seemed most comfortable for our participants, to not dictate or overdetermine how participants made productive use of lab-time, opened up space for participants to transition from “students” to “coauthors.” As participants found structures and methodologies that allowed them to more successfully complete their prototypes, we recorded their procedure to formally incorporate into the next version of our curriculum. For example, in the future we will suggest that participants work collaboratively at the beginning of each workshop. Participants naturally gravitated toward media creation during lab-time, particularly in the track comprised of younger students. For Elizabeth and I, creating media served a purely practical function: we needed a way to reflexively analyze the strengths and weaknesses of our workshops once we returned home. Though it did not occur to us at the time, the impulse to record activity in the room allowed participants an opportunity to contribute to the same pool of media we would review to redesign our curriculum. That participants elected to create media without any prompt from Elizabeth and I only “acknowledges the centrality of media production to the everyday life of both anthropologists and our interlocutors” (Collins, Durington, and Gill 2017, 1). In the future, we will directly encourage media creation during the workshops by providing a number of point-and-shoot video cameras for students to freely use. Lab-time also became an opportunity for free work with technology generally. For example, two or three youths from the community regularly attended our afternoon sessions but did not directly participate in the curriculum. Instead, these community members were attracted by the availability of soldering irons and solder, which they simply wanted to use to attempt to repair a broken cell phone. In other words, the social atmosphere that naturally developed during lab-time invited community members to work with technology not otherwise related to our workshops, suggesting the likely success of a dedicated space for such work at LKM. Furthermore, this observation reinforces our belief that technology education does not have to be explicitly “practical” in order for students to apply it to their everyday lives. Given the proper atmosphere, this conceptual leap from “weird art activity” to “practical implementation of newfound electronics knowledge” simply happens on its own. During our time at LKM, we identified a teacher who was interested in collaborating on the evolution of this technology curriculum. 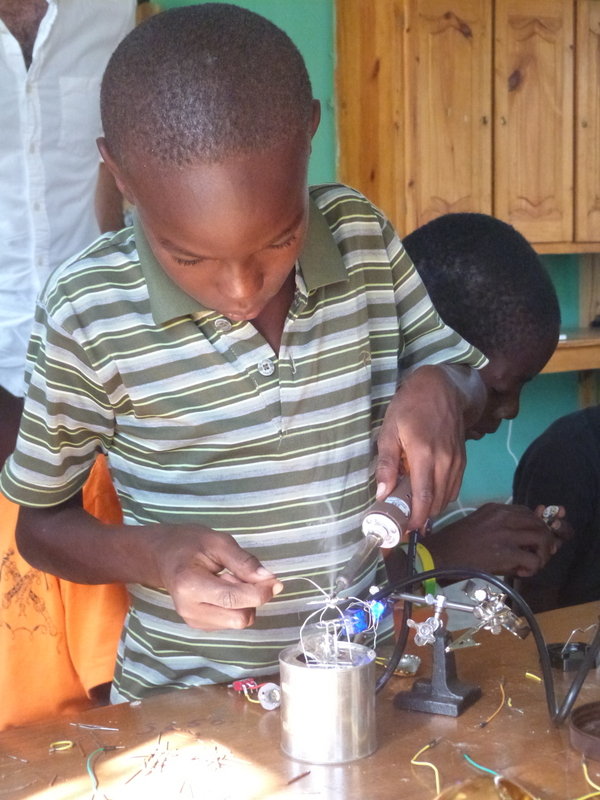 Louis Cenel, who has been teaching English at LKM, took on the additional role of teaching art/electronics classes. Though we brought twice the amount of materials we thought we needed (hoping to leave a significant supply at LKM), we were low by the end of the workshops, and what remained was soon extinguished. The material sourcing constraint reared its head again, and our curriculum had to be put on hold. Periodically throughout the fall, after returning to the US, Elizabeth and I would get Facebook messages from Cenel directing our attention to a video he had made. The videos are quiet and mostly comprised of tight shots, from a variety of angles, of the beautiful designs he creates with a soldering iron and pieces of aluminum, far exceeding the complexity of the paperclip sculptures. One video features an aluminum pinwheel. Another video, included below, shows a model of a two-story house, complete with staircase. While we work to get more materials to the school, Cenel researches alternative designs to the workshops, continuing to build out the range of technologies students at LKM can explore with what is at hand. Following the success of our initial deployment of technology classes at LKM, we hope to find a way to source components suitable for supporting classes in Matènwa without relying on shipments from the US or requiring an individual to act as courier for a suitcase of electronics. This effort is more practical from a resource perspective as well as more in line with the locally sourced philosophy that drives the pedagogy at LKM. One promising strategy involves leveraging pèpè, a street-vendor economy where second-hand goods are sold in large quantities, as a potential component source. Throughout Port-au-Prince, there are vendors selling pèpè clothes, pèpè shoes, even pèpè electronics, which often take the form of old speakers and public address systems or other stereo equipment. While these components typically require a material infusion from some other country, they are more locally sourced than the suitcase full of electronics I traveled with. 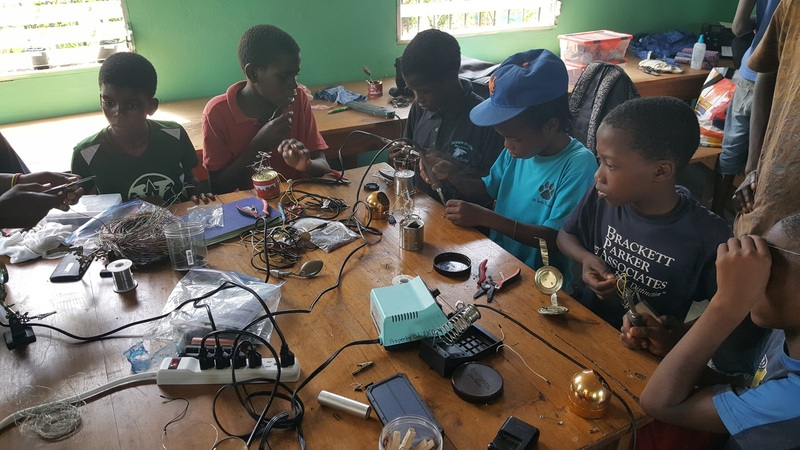 We hope to move towards a permanent electronics lab at LKM in the future, one wherein students travel with teachers to Port-au-Prince to locate pèpè electronics suitable for the kind of work they want to do over the next few months. Possible projects could involve using CD player motors to spin pinwheels or repurposing speaker equipment to make an interesting-sounding microphone. Returning back to the school, the lab adjusts its curriculum to conform to the components located on the field trip and resumes teaching technology by way of open experimentation in a hands-on environment. We are looking to test this kind of change in the supply chain in the future and are hopeful that it will make digital technology education at LKM more sustainable. Chin, Elizabeth. 2015. “Haiti Photography Project: A Quick Seven Day Experiment.” https://elizabethjchin.com/portfolio/haiti-photography-project/. Chin, Elizabeth. 2017. “On Multimodal Anthropologies from the Space of Design: Toward Participant Making.” American Anthropologist 119 (3): 541–46. Collins, Samuel Gerald, Matthew Durington, and Harjant Gill. 2017. 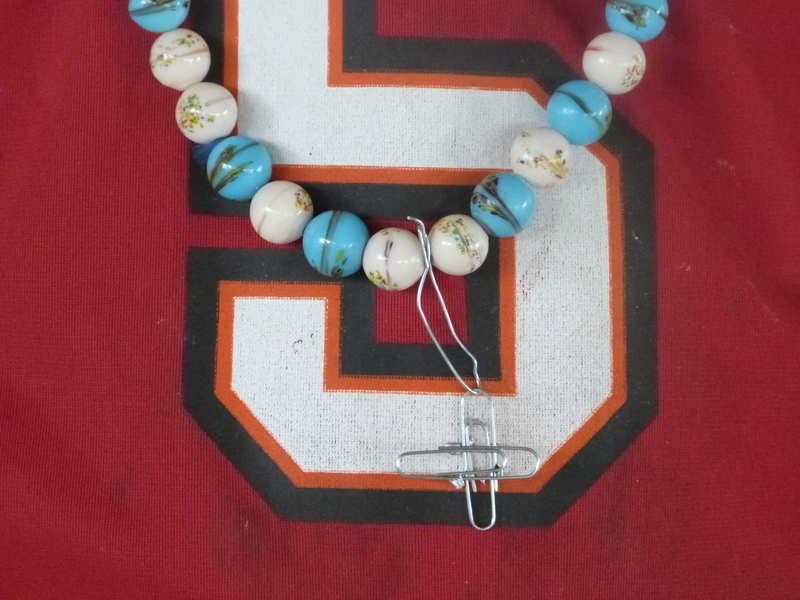 “Multimodality: An Invitation.” American Anthropologist 119 (1): 1–5. Anderson, Casey. 2018. “Repurpose, Remix, Bend: Piloting A Locally Defined Technology Curriculum.” American Anthropologist website, April 10.